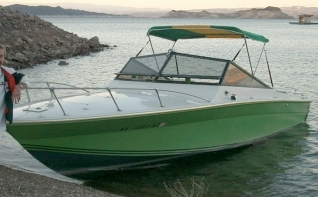 Second Owner, Since 1980, fresh water only,Lake Mead, Nevada. Good condition. Original engines, run great, have never needed repair. Heavy Duty Trailer. Port outdrive cone clutch will need to be replaced.